Go off the main tourist trail and explore the Kitano enclave of Kyoto, where temples and geisha culture await. 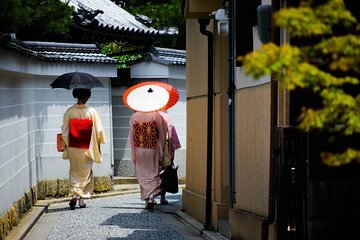 With a local guide, you’ll learn about Shintoism and Buddhism, and hear stories of the geishas as you walk around the historic Kamishichiken district. The short walking tour also includes visits to Kitano’s must-see landmarks such as the temple of Senbon Shakado and the Kitano Tenmangu Shrine.